Aaron Brake of Apologetic Junkie has written an excellent article dealing with the question Do All Religions Lead to God? Labels: Apologetic Junkie, Do All Religions Lead to God? 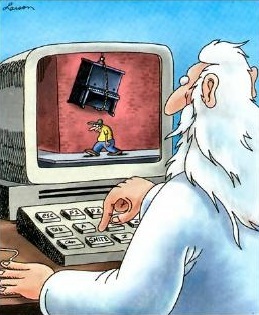 Luke Nix of Faithful Thinkers has written an interesting post addressing the "Evil God" argument used by Stephen Law in his recent debate with Dr. William Lane Craig. 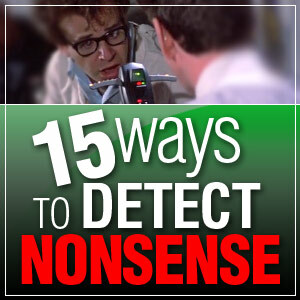 Brian Auten of Apologetics315 has posted an outstanding article entitled 15 Ways to Detect Nonsense. "If even in a human relationship of knowledge and love there can be misunderstandings, false impressions, wrong assumptions, which need to be teased out and dealt with, how much more when the one to whom we are relating is Jesus himself" (p. 14). Indeed, for the Christ follower, the desire to know more about Jesus will not be satiated until He is met face to face. world in the 21st century. 1. Where does Jesus belong within the Jewish world of his day? 2. What, in particular, was his preaching of the kingdom all about? What was he aiming to do? 3. Why did Jesus die? In particular, what was his own intention in going to Jerusalem that last fateful time? 4. Why did the early church begin, and why did it take the shape it did? Specifically, of course, what happened at Easter? 5. 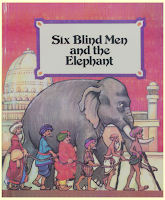 How does all this relate to the Christian task and vision today? "His place there...was the place of a prophet, warning that Israel’s present course was leading to disaster and urging a radical alternative upon her" (p. 73). "The story was never about Israel beating up her enemies and becoming established as the high-and mighty master of the world. It was always the story of how the creator God, Israel’s covenant God, would bring his saving purposes for the world to birth through the suffering and vindication of Israel” (p. 161-162). - The End of Exile: The parable of the sower in Mark 4:1-20 and the story of the Prodigal Son in Luke 15 offer a few examples where Christ was saying Israel’s exile was ending. - The Call of the Renewed People: Jesus was “telling his hearers to give up their agendas and to trust him for his way of being Israel, his way of bringing the kingdom, his kingdom-agenda” (p. 44). Jesus was reconstituting Israel around Him as seen in the summoning of the twelve, the Sermon on the Mount in Matthew 5-7, and his radical acceptance and forgiveness. Jesus announced…"that God’s judgment would fall not on the surrounding nations but on the Israel that had failed to be the light of the world. Jesus himself and his followers…were now the true, reconstituted Israel. They would suffer and suffer horribly, but God would vindicate them" (p. 49). This is seen in Luke 19:41-44 and Mark 13 and its parallels in Matthew 24 and Luke 21. "Jesus’ clash with the Pharisees came about…because his kingdom-agenda for Israel demanded that Israel leave off her frantic and paranoid self-defense, reinforced as it now was by the ancestral codes, and embrace instead the vocation to be the light of the world, the salt of the earth" (p. 57). Wright’s thorough description of each of these symbols and the symbols Jesus replaced them with gives this reader a better sense of how radical Jesus was to the first century Jews who heard Him. "Jesus’ underlying aim was based on his faith-awareness of vocation. He believed himself called, by Israel’s god, to evoke the traditions which promised YHWH’s return to Zion, and the…traditions which spoke of a human figure sharing the divine throne; to enact those traditions in his own journey to Jerusalem, his messianic act in the Temple, and his death at the hands of the pagans (in the hope of subsequent vindication); and thereby to embody YHWH’s return" (p. 121). Wright tackles this question in chapter six of the book by presenting a historical argument for the resurrection of Jesus that this reader finds very impressive. I will not explain it in this review as I encourage that it be read in full. As a teaser, however, it is based on 1 Corinthians 15 and the expectations of first century Jews. The answer to the question though is the resurrection from the dead of all creation sparked by the resurrection of Jesus. As I was reading through the last chapter of the book that addresses this question, I was reminded of the call philosopher John Mark Reynolds places upon Christians to engage culture by creating and building beauty. Wright is calling us to the same and further proposes that Jesus’ resurrection was the beginning of the new world which all creation has been groaning for since the Fall and that “everything done on the basis of Jesus’ resurrection and in the power of the Spirit already belongs to that new world” (p. 180). Wright calls followers of Christ to build a new world through the Spirit. A world that is founded on Jesus. A world that, because of Jesus and His resurrection, has already arrived. If you are looking to understand Jesus as He would have been understood by His Jewish contemporaries, this is a excellent book to read. I am now more able to look at what Jesus said and did in the Gospels through the eyes of a first century Jew. And if you want a better understanding of the full impact of how Jesus’ death and resurrection was the culmination of history (God’s story), again, this book is worth reading. This understanding adds to this reviewer’s insight into the absolute uniqueness of the God of Israel. The book also comes with a DVD in which Wright explores the concept of resurrection in the ancient world. Wright discovers that a man rising bodily from the dead was unheard of before the first century. In the ancient world death was permanent. Death was a door that opened to a spirit world, a door that could not be opened again by the one who had gone through it. He goes on to state that even though the Jews believed in a bodily resurrection, this belief correlated with the end of the world. Wright concludes that the bodily resurrection of Jesus is the best explanation for a group of first century Jews (the early Christians) proclaiming Jesus had risen bodily from the dead in the present world. This reviewer found that the DVD further solidified Wright's historical argument for the bodily resurrection of Jesus found in the book. Thanks to Intervarsity Press for the review copy. If you have not heard philosopher John Mark Reynolds, you should make a point to do so. During a conference I attended a few weeks ago at Mt. Airy Bible Church, Dr. Reynolds argued that beauty was objective. I found the arguments fascinating. In this post, I want to highlight a 5 article series in which Dr. Reynolds outlines his case for objective beauty. 1. What my Nana Taught Me! Beauty matters!